Each year used in the construction of more modern materials, one of which can be considered a rubber paint. When applied it forms a thin film, resistant to moisture and adverse external conditions, it can be used both on the street and in premises. - rubber paint; - filler mixture; - universal ground; - a degreaser; - color; - cushion; - brush; spray gun; putty knife; - abrasive cloth; - a tool for grinding. Before you buy rubber paint, carefully read its scope. 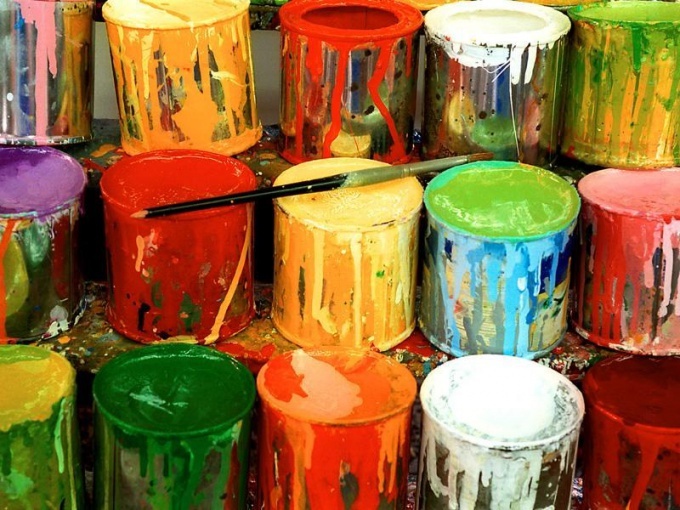 Rubber paint is used to cover almost any surface – concrete, plaster, brick, drywall, wood, chipboard, hardboard, tiles and even asphalt, galvanized steel and asbestos cement. However, it is not necessary to use for painting furniture, floors, window frames and doors. Prepare the surface for painting. Thoroughly clean it, if necessary, remove dirt, chalk, grease and oil spots, old paint residues. If the surface is very oily treat it degreasing agent. Best will be the paint on puttied and polished surface, but don't forget to clean it from dust formed in the process of grinding. If you want to paint the rubber paint on the surface previously covered with oil or alkyd paint, sand it to a matte state. Wash with soda solution or sodium phosphate, rinse with water, cover with universal primer and air dry. Open the jar of paint and mix it thoroughly. In General, to dilute the rubber paint is not desirable, but if it is strongly thickens, it can be made more liquid with water. If necessary, add the color, in this case, the paint should be stirred with a special tool or nozzle on the drill, otherwise to a uniform color will not succeed. Apply on a dry surface the first layer of paint with a roller, brush or spray (ambient temperature should not be below +5 degrees). Wait for complete drying of the layer (from 30 minutes to 3 hours, depending on humidity and temperature) and apply a second coat. In General, to create a smooth durable surface is required 2-3 coats. From time to time stir the paint as it can flake. Rinse tools immediately after work, avoiding drying. Due to the fact that the paint has many properties of rubber, it can be given any shape, and it will not crack even when bending, stretching or exposure to frost.